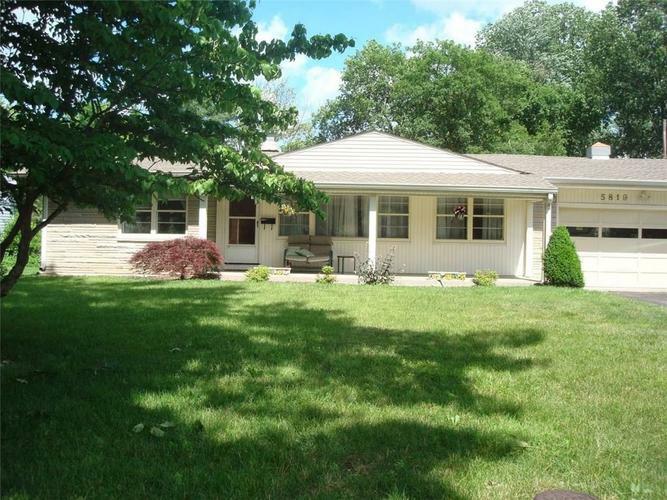 This spacious ranch home in the Brockton neighborhood is a must see! It includes recently updated bathrooms, a large freshly painted kitchen and master bedroom along with a new furnace and water heater. This house is currently set up as a 2 bedroom house, but you can use the bonus room as large master bedroom. There is a nice quiet deck off the master bedroom/bonus room that overlooks a large fenced in backyard. The master bedroom/bonus room also has a gas fireplace. There is a storage area and work bench off of the rear of the 2 car garage. The neighborhood is close to lots of shopping, restaurants and local entertainment. Don't miss out on this Brockton Beauty! Directions:Keystone to Kessler east 6 blocks to Oakland. South on Oakland to home. Listing provided courtesy of R. P. Lux Company.